Trains for best friends? If you love things that go, this classic series will be just your style. Big trains. Funny adventures. 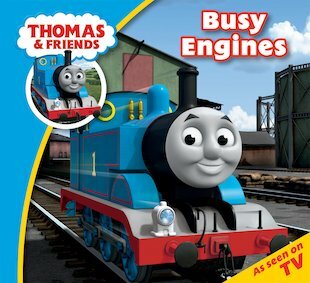 That’s life with Thomas the Tank Engine and his railway crew. In this story, the Fat Controller asks Thomas to be a very busy engine for the day. Thomas puts in his best efforts. But the more he tries to do, the more things start to go wrong!